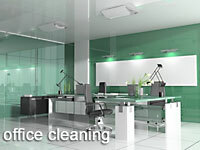 What is Green Bee Cleaning Services? Green cleaning is the process of using products, practices and equipment that protect both human health and the environment. According to Environmental Protection Agency this involves selecting alternative products, using those products properly, and taking other steps to reduce risks while maintaining a satisfactory level of cleanliness and disinfection. 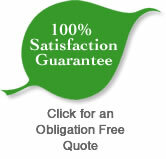 Green Bee Cleaning Services is safer for building occupants and better for the environment. It’s also efficient, as it reduces the quantities and types of solutions required, and is thoroughly effective. The products used to clean a building can have a significant impact on the Indoor Air Quality of the building. 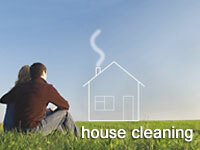 Green cleaning replaces many of the toxic cleaning products with non toxic and safe cleaning products. These products also tend to contain no or lower levels of volatile organic compounds (VOCs), which are harmful gases that can be dangerous for building occupants and have adverse environmental effects. Green products are also biodegradable, come in recycled containers and are in concentrated form to reduce the size and quantity of required containers. Equipment has also risen to green standard. Vacuums that use High Efficiency Particulate Air (HEPA) filters trap small particulate matter that can be left behind by conventional vacuums. These HEPA vacuums are significantly better for the air quality in a building and are considered and essential element of the green cleaning regime. Cleaning cloths and mops made from Microfiber play an essential role as well. Built from extremely small fibres ( typically polyester) in a densely constructed weave, Microfiber is able to attract dust with its inherent static charge so that it is carried out of the building and not simply shuffled into the air. These cleaning surfaces also require less cleaning solution to clean effectively.
" We are Licensed, Insured and Bonded"